It’s Freebie Friday with a Touch of Magic! 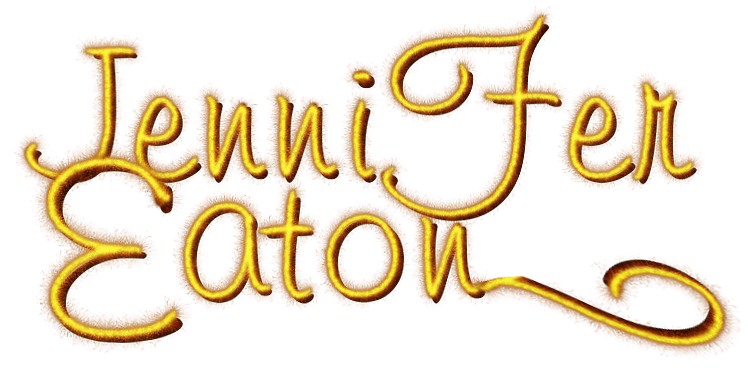 Posted on January 19, 2018 by Jennifer M Eaton | Comments Off on It’s Freebie Friday with a Touch of Magic! Do you love a little bit of magic in your books, or maybe a LOT of magic? 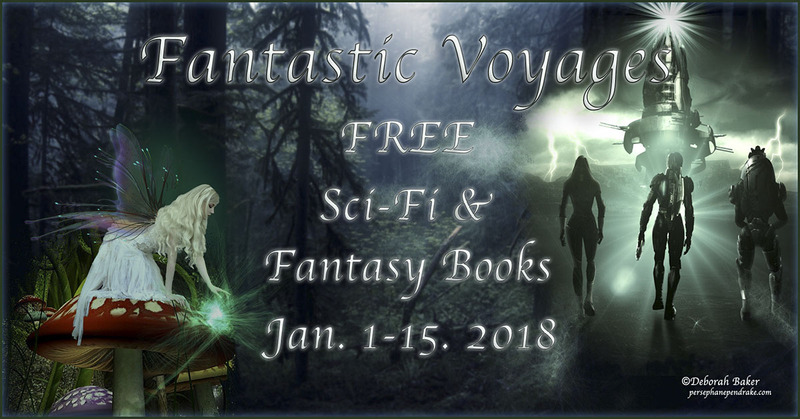 This week we are featuring books with a Touch of Magic, all free for a limited time, mixed genres adult and YA, so please choose wisely. Enjoy! Comments Off on It’s Freebie Friday with a Touch of Magic! FREE on eBook today only! FIRE IN THE WOODS reads like a contemporary, but packs the punch of an action movie!” For the first time ever, book one in my FIRE IN THE WOODS series is FREE on ebook! Tell your friends there’s never been a better time to start their race through the woods! Blurb below if you want to check it out. Discover the high-action alien adventure that started it all! When a plane crashes in the woods near Jess’s home, the boy of her dreams falls out of the sky—literally. But David’s not here to find a girlfriend. He’s from another planet, and if Jess can’t help him get back to his ship, he’ll be stuck on Earth with nothing to look forward to but the pointy end of a dissection scalpel. Her father runs their house like an army barracks, and with an alien on the loose, Major Dad isn’t too keen on the idea of Jess going anywhere. Ever. So how the heck is she supposed to help the sweetest, strangest, and cutest guy she’s ever met? Hiding him in her room probably isn’t the best idea. Especially since her Dad is in charge of the squadron searching for David. That doesn’t mean she won’t do it. It just means she can’t get caught. As they race through the woods with Major Dad and most of the U.S. military one breath behind them, Jess and David grow closer than either of them anticipated. But David has a genocide-sized secret, and one betrayal later, they are both in handcuffs and alien warships are positioning themselves around the globe. Time is ticking down to Armageddon, and Jess must think fast if she’s to save the boy she cares about without sacrificing Earth—and everyone on it. Fire in the Woods is the first book in a high-action contemporary science fiction series great for fans of Starcrossed, The Lux Series and Alienated. Discover Fire in the Woods and start your race through the woods FREE today! Woohoo! Let’s Celebrate. Enjoy a Free Ebook on me! 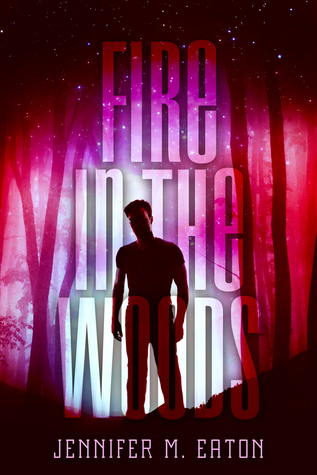 There’s only one week left in the countdown to September 23 and release day for FIRE IN THE WOODS! I am totally excited because this is my full length novel debut. But there’s something really special about that first big project. I’m all tingly just thinking about it! 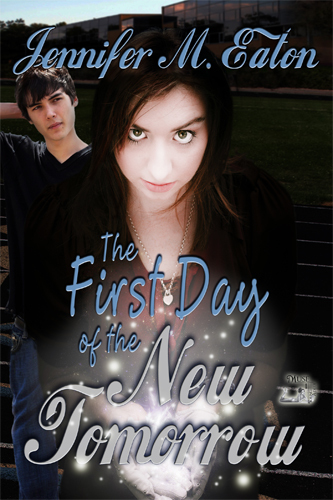 To help celebrate the release of FIRE IN THE WOODS, MuseItUp publishing is offering my YA novella THE FIRST DAY OF THE NEW TOMORROW at the rock bottom price of free for the next six days. So while you’re waiting for all the extraterrestrial adventure coming next week, snuggle up with a little paranormal teen romance. Maya dreams of perfect skin, beautiful hair, good grades, and Eric Brighton—the boy she’s been crushing on since elementary school. But no matter how hard she tries, these things elude her. In the space of a day, her acne clears, her hair thickens, and Eric finally takes notice. As everything she wishes comes true, happiness is finally in reach—until a man posing as a college recruiter informs her that her newfound abilities come with a price. She will be expected to use them to stop a catastrophe. Frightened of playing superhero, but thrilled that everything she desires becomes reality, Maya tests the limits of her power—until someone gets hurt. Now terrified of her own thoughts, Maya will need to choose between having everything she wants, or returning to normalcy. With Eric’s heart and the fate of her town resting on her decision, Maya makes the hardest choice of her life. Omigosh. I can’t believe it’s finally over. This may have been the most painful thing wonderful experience I’ve ever had as a writer and I hope I never have to put myself through this can’t wait to do another one. I just came off a month-long blog tour. 45 stops in 30 days. The over achiever in me says “Yes! Awesome! Bring it!” But the real-person side of me just wants to take a step back and sleep. So, what did I learn? A lot. Would I do it again? Well, at least not in the same way. Did we get the word out? Yes. Did we sell books? Yes. Was it worth it? I’m not really sure yet. I don’t think I am going to take on a blog tour this aggressively again. Will I be aggressive? You betcha! But the rest of my life shouldn’t suffer for it. Don’t get me wrong, this was not an overall bad experience. My fear is, though, that I may have lost some of my following because I was not “here”. That is what is really bothering me. Soooooo… In the future, I will not be wreaking havoc across the internet for thirty days straight. I will take it easy so I can still enjoy my life, because I can’t write when I’m stressed, and that just doesn’t work for anyone, does it? I’m going to cut back a bit on blogging too, so I have enough time for my extensive goals for 2013… but I have some great things planned. Mondays will be my days for posting about whatever pops into my head… The fun rants on my writing, my world, or whatever. Tuesdays will continue to be Write a Story with Me, which is still going strong, and new people are signing up. This has been a HOOT! Wednesdays and Thursdays I will take off, unless I have a book review or something exciting that I can’t wait until Monday for. Friday is something brand new I’m going to try out as a gift to everyone who’s supported me through all this. #FreeFridays will feature a different author every week with a giveaway. They may give away a book, an ebook, chocolate, dogs, cats, whatever. But it’s a chance for them to promote their book, and a chance at a freebee for all those who comment. Should be fun. By the way… since this is the first #FreeFriday, everyone who comments today will have a chance to win either For the Love of Christmas or Make Believe on ebook. (your choice) Yay! Saturdays will be open to my whims, and I may not always post. But for the next month I will be featuring the continuation of author/Editor Danielle Ackley McPhail’s advice on the do’s and don’ts of how to submit your manuscript. It’s great stuff we can all learn from. Sunday will return to Sunday Snippets, where I will showcase a snippet from my current work in progress, and invite you all to do the same. It’s a time to share a little, and see what you guys think of it. I’ve thought of making this a weekly blog hop, but it will be very informal, and I won’t kick you off if you post more than six sentences. Yeah, I’m nice that way. If you want to sign up, click here and be sure to hop around to other people’s sites to see their snippets. 1. Just because a person says they will host you, and you do the interview, doesn’t mean they will post it. Just say’n. Be ready for it. It’s embarrassing to send people to a post and have it not be there. 2. Confirm, and make sure you get confirmations. I sent out interviews and sent confirmation emails, but in one instance I didn’t get a response for the confirmation. Not sure what happened to my emails, but the host never got either, so the post ended up late. My fault for not following up better on that one. 3. There will be posts that it seems no one has read. I try to tell myself that not everyone who reads posts comments. I hope some people read some of those guest posts, because I thought they were pretty good! Try to keep your chin up. No all stops will look as successful as others, but you won’t know unless the host lets you know the number of hits. 5. Scheduling, doing the interview/post, telling people where you are that day, and following up and answering questions on all those other sites is time consuming and exhausting. Be ready for it. No matter how well you think you have prepared… well, you know how it is. 6. Don’t forget about Facebook. I forgot about Facebook. Oh well. So, there you have it. The good, the bad and the ugly – and what I learned through all this monotony. For the most part, it was fun, and if I were a full time professional writer, and didn’t have another job, a part time job, a poodle that needs to be brushed, three kids with homework and a husband, it would have been no problem. But for me, I think a more leisurely pace will be the ticket for the next one. Thanks for sticking with me! And Here’s to an AWESOME 2013! What do you have on tap for this year? Don’t forget one commenter below will get their choice of For the Love of Christmas or Make Believe on ebook!